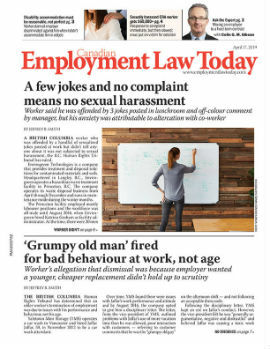 An Alberta employer failed to ensure it provided a workplace free of harassment for a long-term employee who suffered from depression and poor health as a result of conflict with co-workers, an arbitrator has ruled. A 47-year-old bakery clerk for Canada Safeway worked in Safeway grocery stores in Calgary over a period of 15 years. After two years off due to pregnancy and post-partum depression starting in 2006, the clerk was transferred to another store in October 2008, where she was appointed to be the “head girl” of the bakery, a designation given to certain employees who were in charge of scheduling, work co-ordination, priorities and displaying bakery product on time.